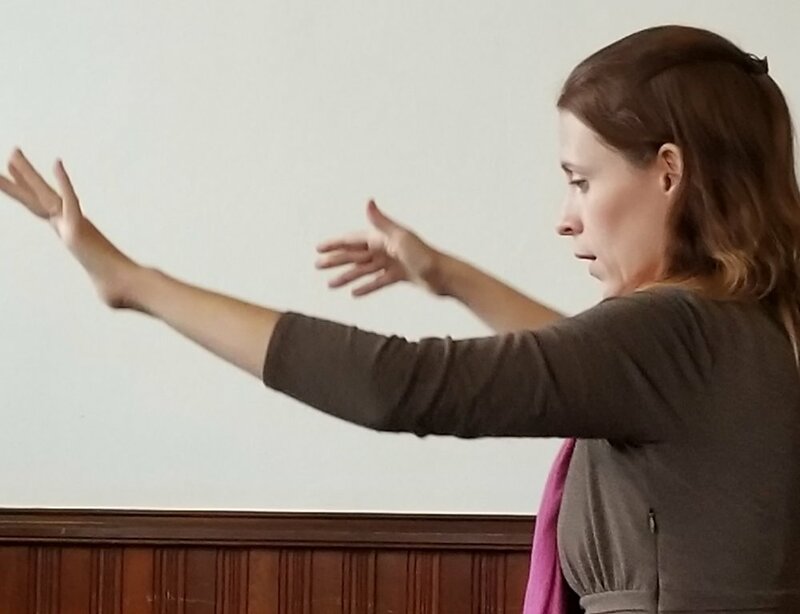 Bridget is a native New Yorker and has been living in Connecticut since getting her Masters degree in vocal performance from The Hartt School. She is a Yankees fan lost in a sea of Red Sox fanatics. Bridget currently works at SUM as the Music Director where she gets to work with some pretty awesome musicians. She directs the Chancel Choir, Chancel Ringers, Children’s Choir, Wesley Ringers, Insigni Ringers, and also oversees and organizes a bunch of musical activities within the church. Whether it’s making music, listening to music, or teaching music, Bridget has a home in music and loves sharing her passion with others. When not at SUM, Bridget also teaches at Manchester Community College and cantors and plays organ at some Catholic churches in the area. Bridget lives in Windsor with her husband Stephen and three great kids. She is also a vegan and occasionally wows the choirs with vegan baked goods. Dorothy, also a native of New York (but from “upstate”) grew up near the beautiful Mohawk Valley. She launched her musical journey with piano lessons at the age of 8, and accompanied her first choir concert as a 6thgrader. Knowing she wanted a career in music, Dorothy pursued a double major in piano performance (BM) and music ed. (BS)from Penn State and went on to get her MMusEd from Hartt School of Music. It was at Penn State that she began playing the organ as well. Having been associated with SUM since the 90’s, Dorothy directed the children, youth and contemporary music ministries for the past 18 years and is currently enjoying a much less hectic schedule directing the CAYA Worship Team. Dorothy sings with Gaudeamus, part of the Joyful Noise/Chorus Angelicus organization based in Torrington, and is a hired accompanist for many choirs and schools. Kari Miller began her musical life with piano lessons at the age of five. Organ lessons came some years later, and Ms. Miller held her first church position and gave her first organ recital while still a teenager, in her native state of Washington. She pursued her advanced training as a pianist, attending The Curtis Institute of Music and Indiana University, where she earned a Masters and DM in piano performance. Kari’s life as a church musician has included directing choirs and bell choirs and organizing programs of all kinds - as Director of Music and organist at Central Baptist Church in Hartford from 2007-2016, and as Interim Director of Music at South Church (UCC/Baptist) in New Britain in 2017-2018. But it is organ-playing that she finds most satisfying, and she presides at the SUM organ console with joyful enthusiasm. 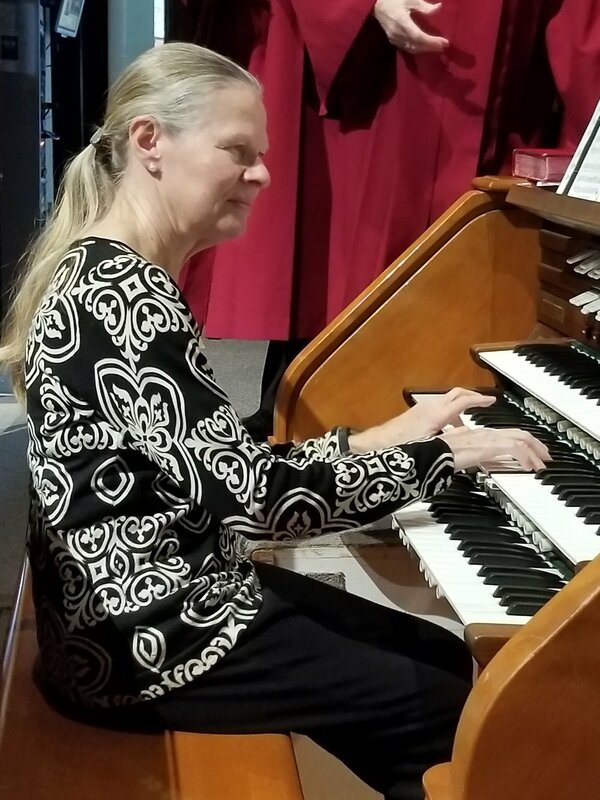 Kari is an active member of the Greater Hartford Chapter of the American Guild of Organists and frequently appears on the chapter’s annual Pipescreams concerts and other area events. She resides in Winsted, where she tends a large perennial garden and enjoys her three Siamese cats.